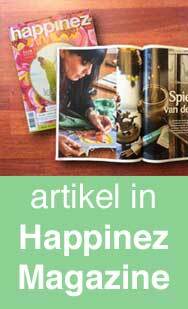 Small gift items of Carmen Mensink’s artwork can be purchased through the artist herself. Please fill in the order form at the bottom for questions or orders. For more information on each Buddha or Mandala please have a look at the Thangka Painting section. Beautiful glossy cards with a short explanation on the back and enough space to write something. They come with and envelope in a clear self adhesive bag. NOTE: larger discounts are possible when ordering larger amounts. Special prices for resellers. Please inquire by filling out the form below. These cards are also included in the card sets below. 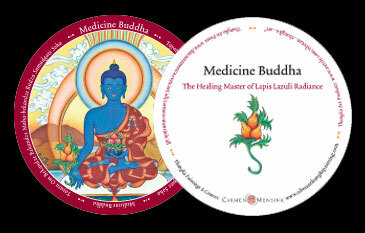 The complete collection of cards, bookmarks and stickers from the thangkas of Carmen Mensink, containing Buddhas, Mandalas and Tibetan Symbols. Each piece has a glossy front with the name of the subject, and each back has a clear explanation (often with mantra). 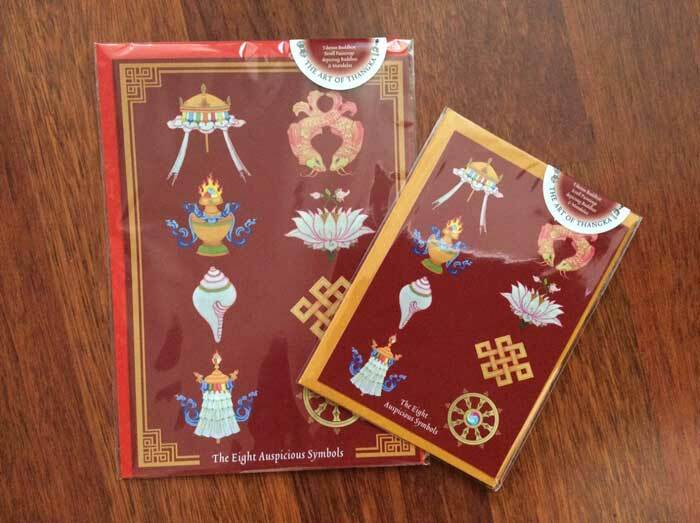 All Thangka Cards (with different Buddhas, Mandalas and Tibetan Symbols) have a glossy front with the name of the subject, and on the back it has a clear explanation of what each subject symbolizes. The Buddhas also have their mantra printed on the back of the card, but there’s still enough space to write something. This set contains a black folder with: Buddha Shakyamuni, Green Tara, Mandala of Avalokiteshvara (Chenrezig), Padmasambhava (Guru Rinpoche), White Tara, Tara protecting from Poisons, Vajrayogini, Vajra (Dorje), Offering Goddess of Music, Mandala of the 5 Elements, Medicine Buddha and Offering Goddess with Mantra Om Mani Padme Hum, Ushnisha Vijaya (not shown in picture), and the new card of The 8 Auspicious Symbols that was recently created for the Dalai Lama (not shown in picture). 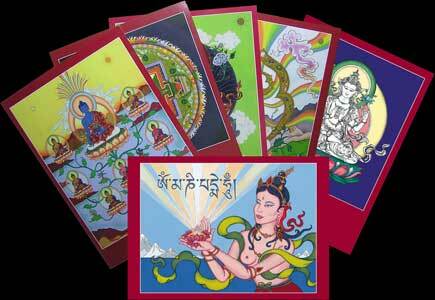 All Big Thangka Cards (with different Buddhas, Mandalas and Tibetan Symbols) have a glossy front with the name of the subject, and on the back it has a clear explanation of what each subject symbolizes. The Buddhas also have their mantra printed on the back of the card, but there’s enough space to write something. This set contains a brown folder with: Buddha Shakyamuni (not shown in picture), Green Tara, White Tara (not shown in picture), Mandala of Avalokiteshvara (Chenrezig), Vajra (Dorje), The 8 Medicine Buddhas, Offering Goddess with Mantra Om Mani Padme Hum, double card with Green Tara & Padmasambhava, and the new card of The 8 Auspicious Symbols that was recently created for the Dalai Lama (not shown in picture). 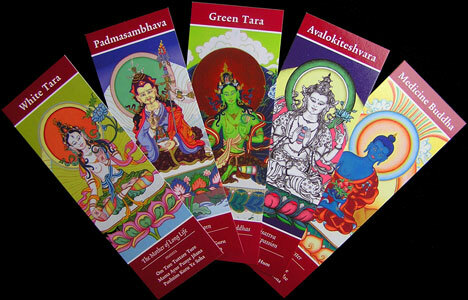 Thangka bookmarks are available in 5 different Buddhas. They have a glossy front with the name of the Buddha and his/her mantra, and on the back it has more information of what each Buddha stand for. 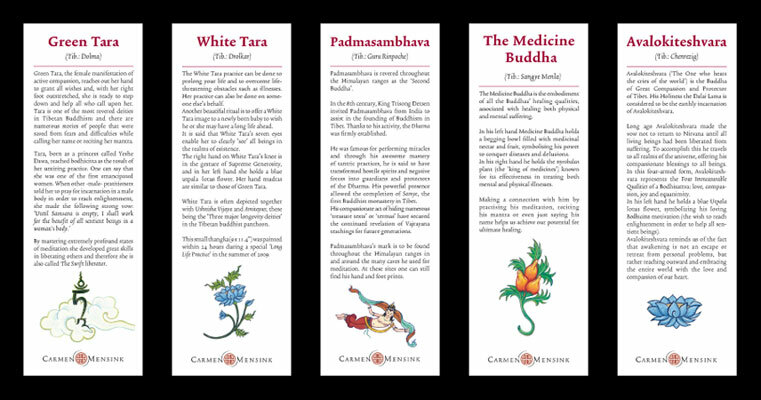 Available in: Buddha Shakyamuni (not shown in picture), White Tara, Padmasambhava (Guru Rinpoche), Green Tara, Avalokiteshvara (Chenrezig) and Medicine Buddha. 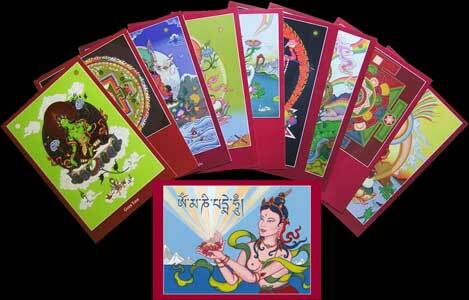 Thangka Stickers are available in 7 different Buddhas & Mandalas. They are glossy and have a nice back with the name of the subject on front. 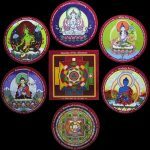 Available in: Avalokiteshvara (Chenrezig), White Tara, Green Tara, Medicine Buddha, Padmasambhava (Guru Rinpoche), Mandala of Avalokiteshvara and Mandala of the 5 Elements. Please fill in the form and explain what item(s) you would be interested in and how many of them. After confirmation, payment can be done through Paypal or via bank transfer, and we will ship your package a.s.a.p.